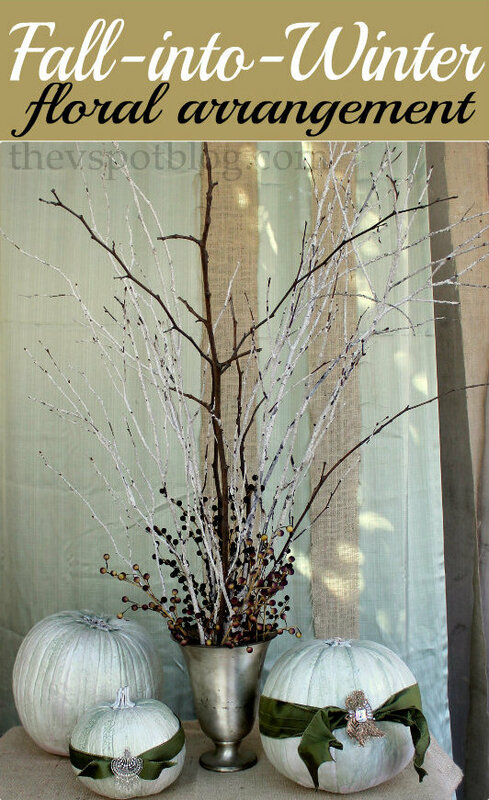 This floral arrangement can be an easy transition between the seasons and a great winter centerpiece. 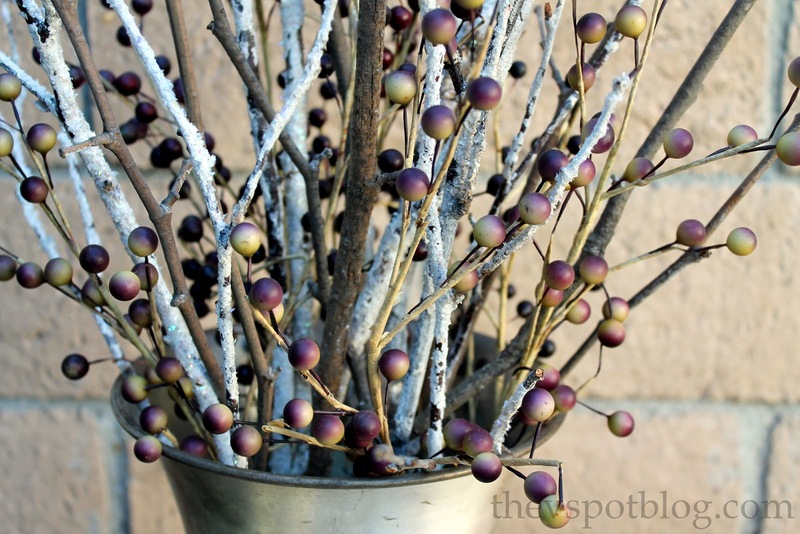 You just need to add a few winter elements to your autumn arrangement. Click HERE to turn regular pumpkins into these blinged out beauties. I created this easy arrangement for our Thanksgiving decor. We have kind of a bare spot on one end of our BBQ island and I wanted something tall for the space. By taking frosted branches (click HERE to make your own) and adding regular sticks and branches to them, you get a nice mix of fall and winter. Use a foam block, wedged into a vase or old urn to build your arrangement, then add in a few spray of berries or other autumnal elements. I think I’m gonna turn my pumpkin into a snowman. Twig and leaf fall centerpieces.